After rebounding from level of 50% (1.3788) several times, Eurodollar started growing up. 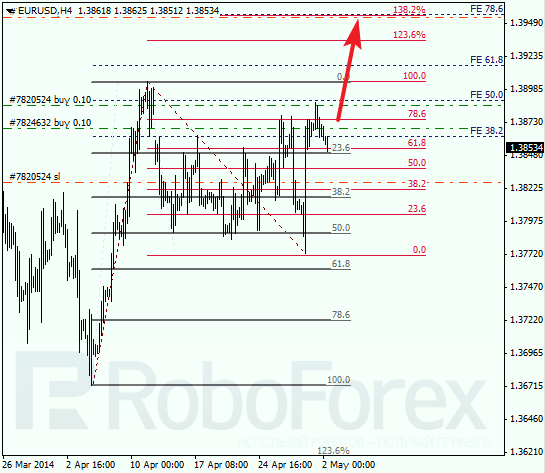 Closest target for bulls is the group of fibo levels at 1.3955. In the future, price is expected to complete local correction and then break latest maximums. 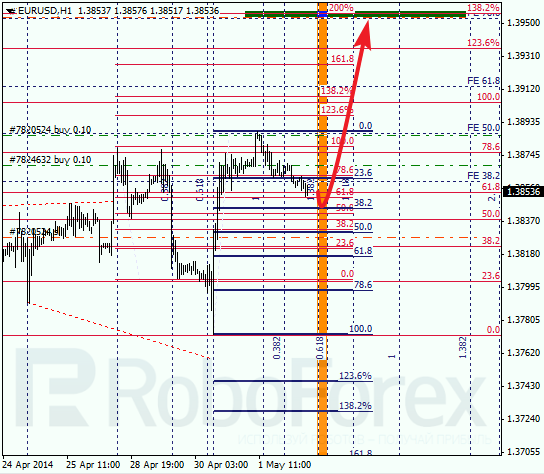 As we can see at H1 chart, target of current correction is at level of 38.2% (1.3844). Possibly, market may rebound from this level inside temporary fibo-zone. If pair does rebound from this level, I’m planning to increase my long position. Franc is trying to start new descending movement. Earlier price rebounded from correctional level of 50%. Probably, bears’ next target is the group of fibo levels at 0.8695. 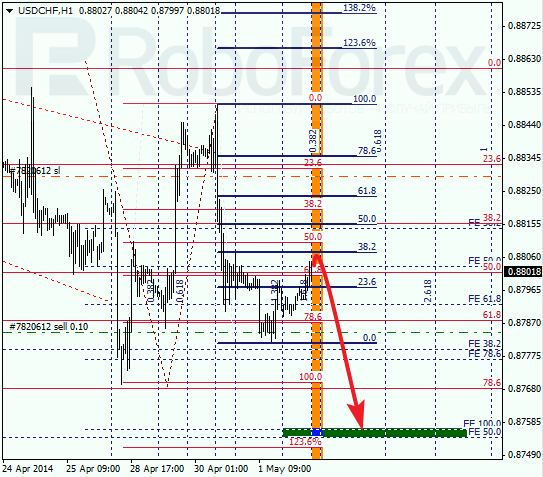 As we can see at H1 chart, target of current local correction is at level of 38.2% (0.8807). According to analysis of temporary fibo-zones, this correction may complete during the day. Intermediate target for bears is the group of fibo levels at 0.8755.